· to port a number from the PortaBilling® system to another telecom (port-out). This feature is convenient for customers who want to change telephone providers but keep their original numbers. 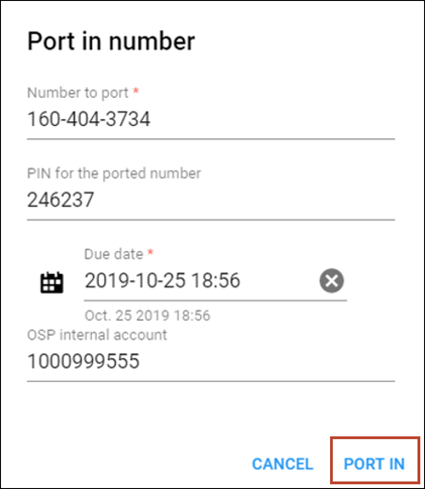 This new framework provides the option to port numbers via Neustar Inc. – a major player in the number portability market. Before configuring the number porting in your installation, make sure that all preliminary procedures with Neustar Inc. have been done. In particular, your company must sign a contract and establish a VPN connection. After this has been done, you may configure your installation as instructed below. Note that PortaBilling® receives number porting requests via the HTTP / HTTPS protocols. 1. Go to the Configurations tab on the configuration server and clone the currently active configuration to modify it. 2. Select PortaSwitch on the Configuration Tree, select Global environment, then select NumberPorting group and enable the feature. 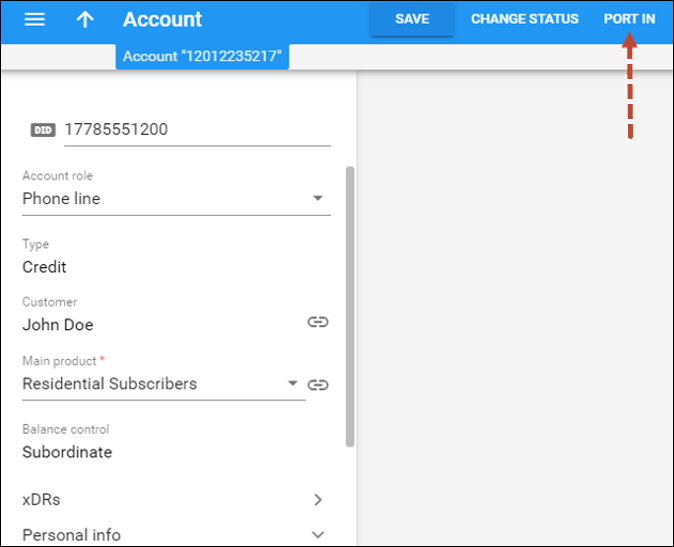 Now the number porting functionality will be available on the administrator web interface. 3. 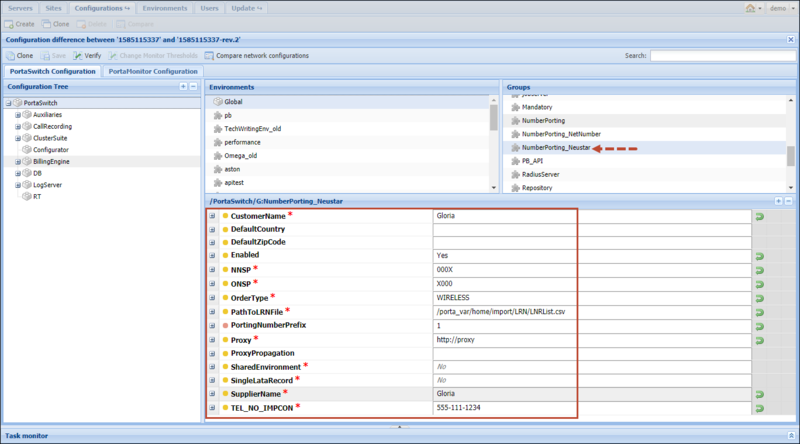 Provide the path to the directory containing the LERG database. The mandatory condition for number porting through Neustar is accessibility to the LERG (Local Exchange Routing Guide) database. The system retrieves the LATA from the LERG database and uses this data to obtain the LRN. · TEL_NO_IMPCON* – ITSP support telephone number. NOTE: Please contact the Neustar support department to receive the values for the fields marked with an *. 5. Click Verify button to verify the differences between the configurations. 6. Click Check/Apply button to apply the new configuration. 1. Go to the Edit Account panel and click the Port in button in the toolbar. · Number to port – This is the requested 10-digit number. This number will be ported in to PortaBilling® from another telecom. · PIN for the ported number – The service password or PIN number of a customer’s account within the previous service provider’s system. · Due date – Indicates the date (in the PortaBilling® user’s time zone) by which the customer’s request must be completed. · OSP internal account – This is the customer’s account within the previous service provider’s system. 3. Press Port in to complete the request. After performing these steps, PortaBilling® sends the porting request to Neustar and waits for their confirmation. Neustar requests this number from the telecom. When confirmation is received, the number in PortaBilling® is replaced and the customer can receive calls at the new number. 1. The PortaBilling® administrator may monitor all Port-in requests. To do this, on the navigation menu to the left, select Infrastructure, then open Inventory and click Number porting. Port-out requests are available on the Port-out panel which is located next to the Port-in panel. NOTE: If a number requested by another telecom is available, PortaBilling® automatically provides it. Administrators are not involved in this process. Please refer to the PortaBilling Help to check possible values for the Status column.